This year, the Wisconsin Bike Fed switched it up a bit in regards to their routine event schedule. 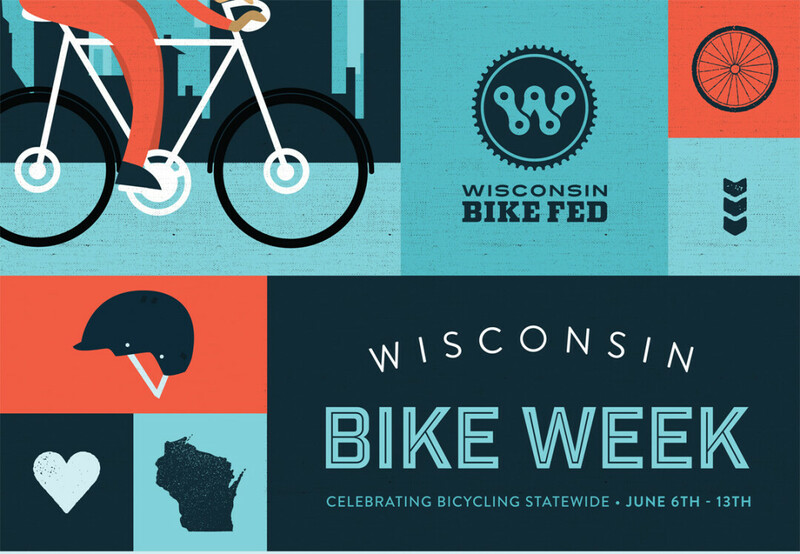 Their annual Bike to Work Week, usually held in mid-May, has transformed into "Wisconsin Bike Week" taking place from June 6–13 to celebrate all things cycling statewide (Bike to Work Day still takes place on May 15 annually). 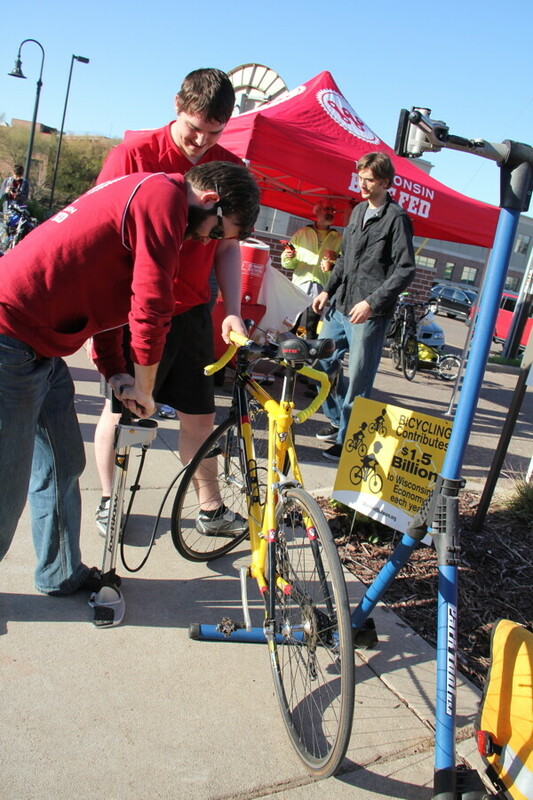 Eau Claire is one of the four participating Bike Week cities in Wisconsin – others include Milwaukee, Madison, and La Crosse – with a slew of different events taking place all over town from family fun rides to commuter stations, bike-in movies & concerts, and information stations. "Wisconsin Bike Week is not just about getting more butts on bikes, it is about building bike culture in Eau Claire." Eau Claire is a city that truly embraces and supports safe cycling and that is evident not only by the biking enthusiasts seen around town and all the great bike trails we're lucky to have in the area, but also by the number of participating local businesses and sponsors willing to volunteer their time, energy, and/or commodities to support this mission. Local participants and sponsors include Mega Co-Op, High Bridge Coffee, Anybody's Bike Shop, City of Eau Claire Bicycle/Pedestrian Advisory Commission (BPAC), Chippewa Valley Transit Alliance (CVTA), Chippewa Off Road Bike Association (CORBA), Eau Claire Bike & Sport, Eau Claire Mobile Bike Repair, Riverside Bike & Skate, and Volume One. 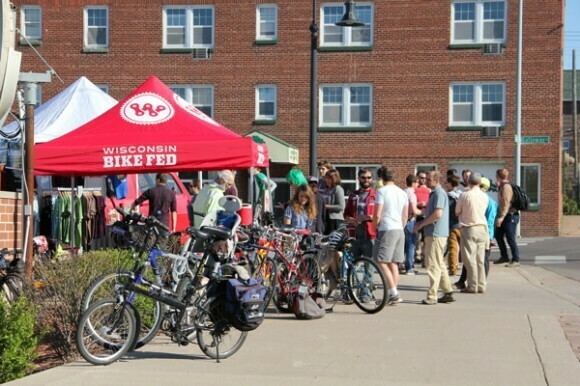 Local ambassador for the Wisconsin Bike Fed Jeremy Gragert shares, "Wisconsin Bike Week is not just about getting more butts on bikes, it is about building bike culture in Eau Claire." As the Bike Fed itself puts it, let's have some fun and celebrate all the reasons we ride! ➜ Download posters/images to use for public promotion. Meet at 5:45 pm at Lowes Creek County Park (west parking lot, off of Lowes Creek Road) – Join Chippewa Off Road Bike Association (CORBA) for their weekly Group Ride. This is a ride for all skill levels and whether you know the trails or not. You will break up into groups according to speed and leave no one behind. Helmets required. In the Volume One Gallery (205 N. Dewey St.) – Sean of Eau Claire Mobile Bicycle Repair offers quick, friendly, on-the-spot professional service to Eau Clairians on a daily basis. Join him, and Dan from Bike Think, for a basic run-down of bike maintenance, tune-ups, and repairs. In the Volume One Gallery (205 N. Dewey St.) – Savvy City Cycling is a bicycle commuting workshop - for beginners. Whether you've been riding for a while and want to commute to work or school, or just starting out and need to learn the basics, this workshop is for you. We'll cover safety, rules of the road, new city infrastructure projects, and share tips and tricks for making your bike part of your daily life. Meet up and ride from Volume One and The Local Store (205 N. Dewey St.) to UWEC's Summer Cinema Series outdoors in the lawn next to Haas Fine Arts (film at 8:30pm). The kickoff of their series is the movie is "Big Hero 6" ... also enjoy free punch and popcorn at the film screening! Ride leaves The Local Store at 8:15pm! Mega Co-op East (1201 S. Hastings Way, Eau Claire) – Mega Co-op hosts its third annual Bike n’ Brats event during Wisconsin Bike Week! Free brats are given to everyone that bikes to the "Bike n' Brats Bonanza" at Mega Co-op East. There will also be beer sampling, giveaways, live music, and fun activities for the whole family.